Add all purpose flour, sugar, baking powder and cinnamon powder in a bowl. Now mix Milk, oil, water, melted butter and vanilla essence in a separate bowl. Mix both dry ingredients and wet ingredients. Mix well to prepare a batter consistency and leave it aside for 5 minutes. 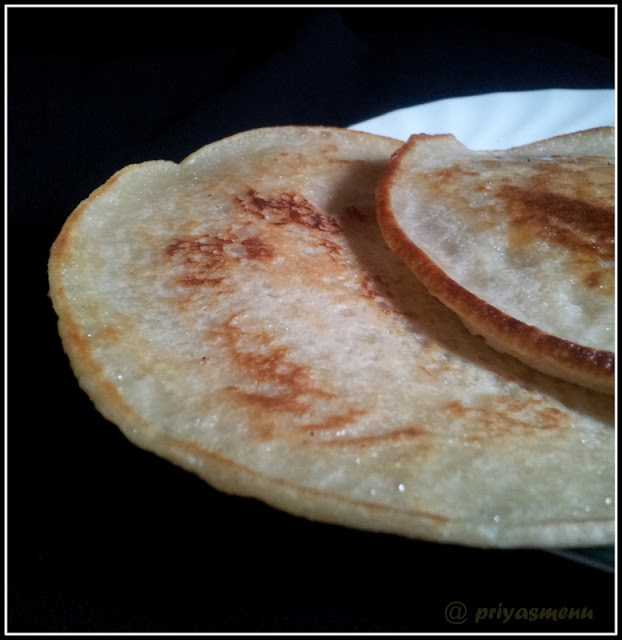 Heat a Dosa pan and pour 2 ladles of batter. Cook in a medium flame and flip the other side. Cook until it turns light golden brown color and remove from the flame. Serve hot with Maple syrup or Honey. 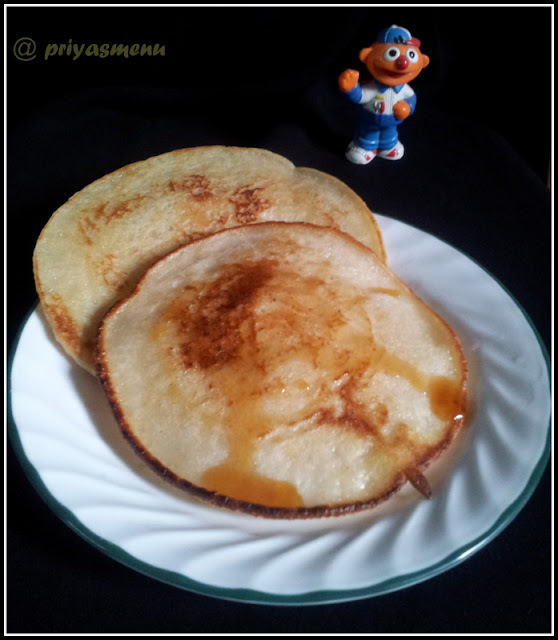 Lovely delicious pancakes... I love the cute little toy. luks just soo yummy and inviting Priya. the addition of cinamon brings a world of difference ! Super soft pancake... Love it ! 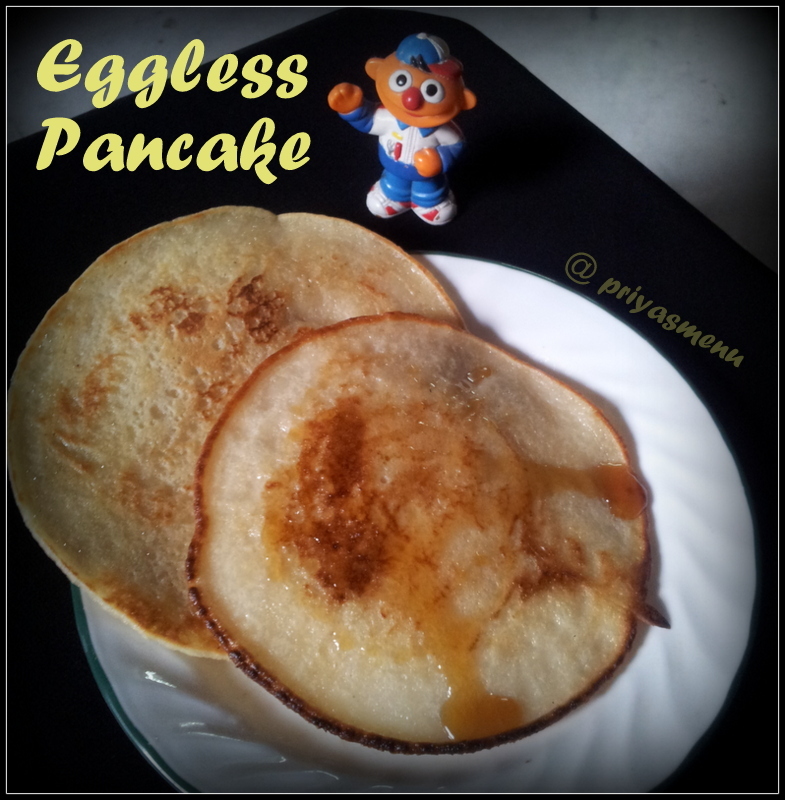 Love to start my day with this eggless pancakes,drooling here.